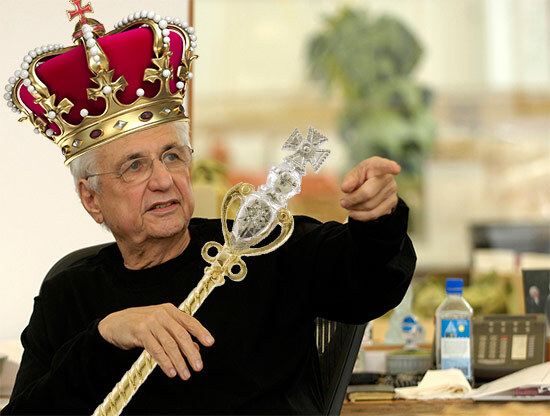 Frank Gehry, who is currently working on Facebook's new Silicon Valley campus in Menlo Park, California, will design a new office for the company's New York-based engineering team at 770 Broadway in Manhattan. The move will nearly double the company's current workspace. In a note from Serkan Piantino, Facebook New York's engineering team site director, the new offices will share many of the same features of Facebook’s California headquarters, but with a twist that is uniquely New York. Approximately 100,000 square feet across two floors will be updated with open, collaborative spaces, conference rooms, cozy and casual work areas, writeable surfaces, and integrated video conferencing equipment. There are also plans to build out a full service kitchen for Facebook employees. 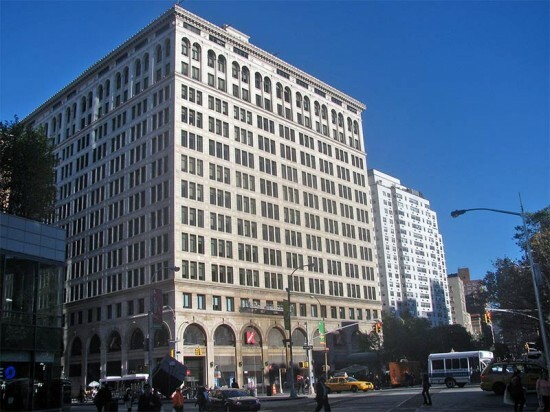 At 770 Broadway, Facebook will join tenants AOL/Huffington Post, Adweek, JCrew, and Structure Tone. 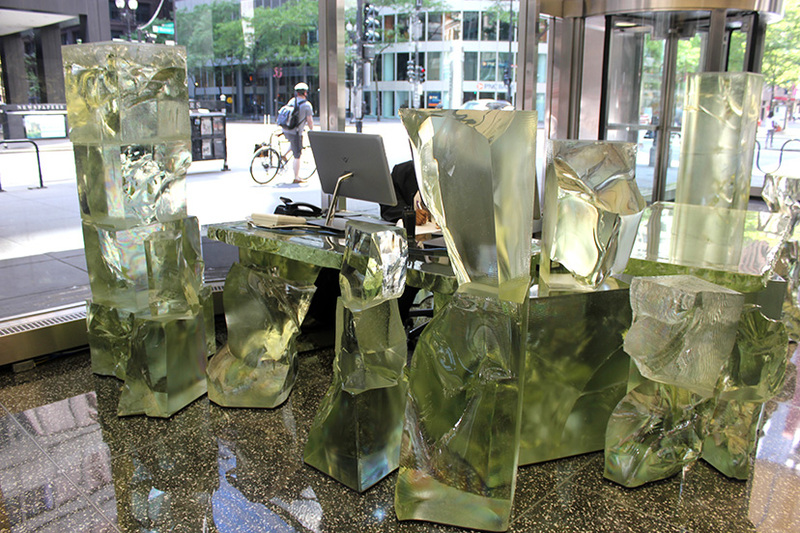 The move from their current offices at 335 Madison Avenue is scheduled for early 2014 under a 10-year lease with building owners Vornado Realty Trust. 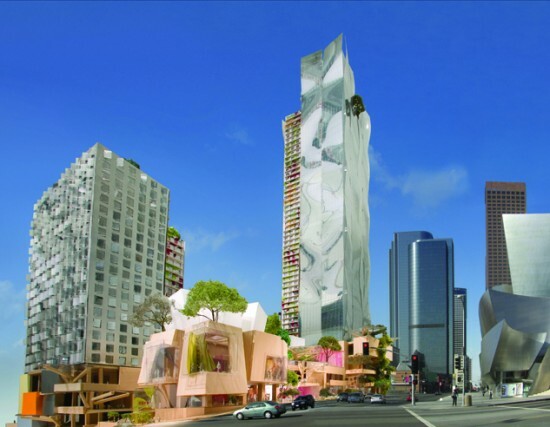 The Grand, the multi-million-dollar, mixed use project on top of LA’s Bunker Hill, is finally… slowly… moving forward with an Arquitectonica-designed residential tower, which just broke ground. 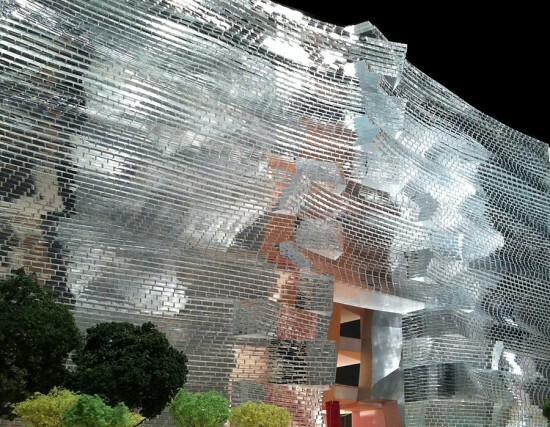 But it appears that Frank Gehry’s days on the project may be numbered. 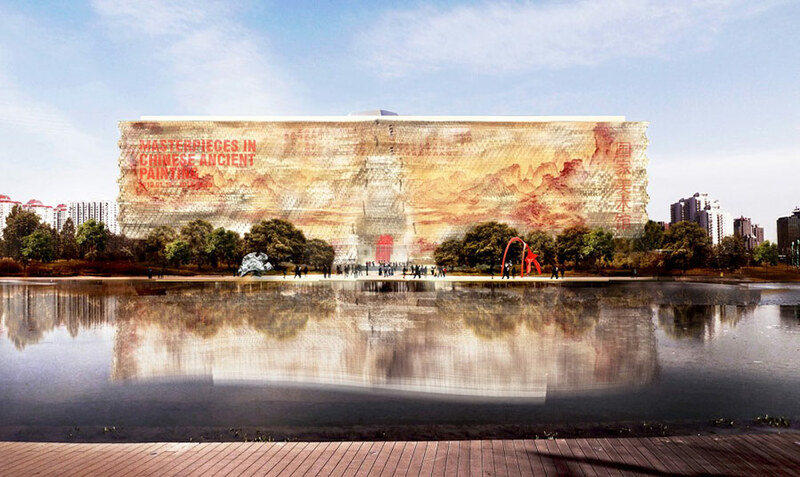 After a recent call with Related, we got no assurances that the starchitect was still part of the project. A report in the Downtown News got similarly uncommitted answers. Just across the street from the Grand we hear that The Broad (what’s with all the THEs? 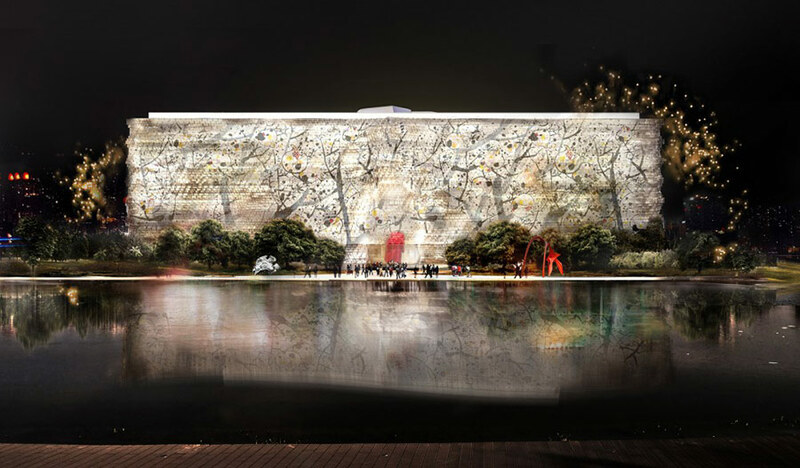 )—Eli Broad’s multi-million-dollar art museum—is getting ready to add an upscale market to its rear, just above the parking lot. If it’s even close to as successful as Chelsea Market in New York, Downtown LA could have yet another hit on its hands. Meanwhile, decking is being laid for a new park to The Broad’s south, but still no renderings of the park have been unveiled. Let’s make this public, Mr. Broad. 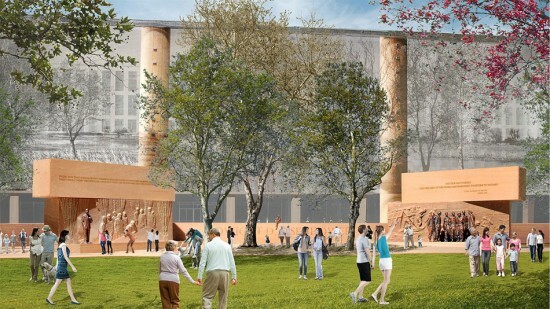 We can’t wait to see your plans, which could single-handedly make or break Grand Avenue. 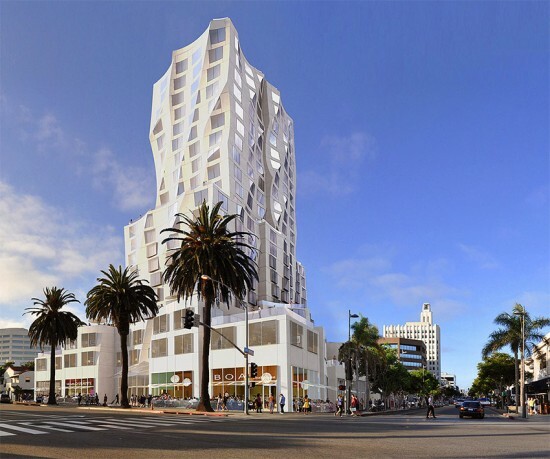 Grand Avenue Gets Another Extension, But May Lose Gehry? Los Angeles supervisor Gloria Molina has confirmed what we suspected all along. 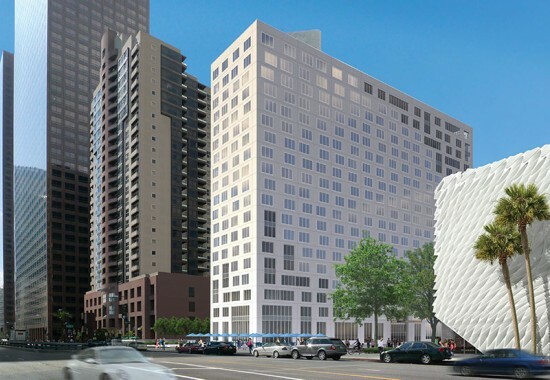 The Grand Avenue committee—chaired by Molina—has granted the Related Companies a third extension on its lease to develop The Grand, a multi-billion dollar, mixed-use development on top of the city's Bunker Hill. The project's Civic Park, designed by Rios Clementi Hale Studios, opened last summer, and the first built project, an apartment by Arquitectonica, broke ground earlier this month. 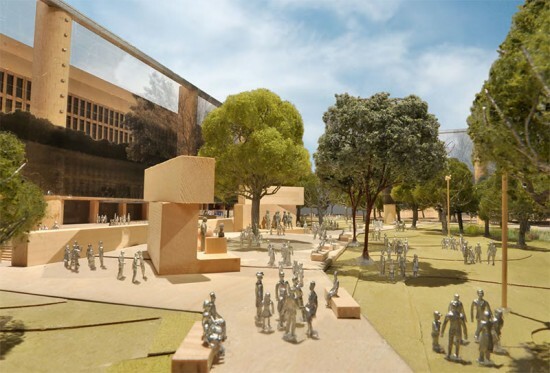 But the rest of the project, including 9 acres encompassing at least 2,100 residential units, a hotel, shopping, and dining, still remains dormant. 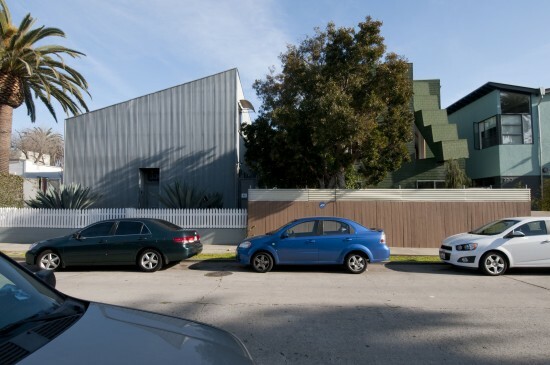 Related would not commit to its original designer, Frank Gehry, when AN talked with them last year, nor would they confirm his continued involvement in a recent interview with the LA Downtown News. 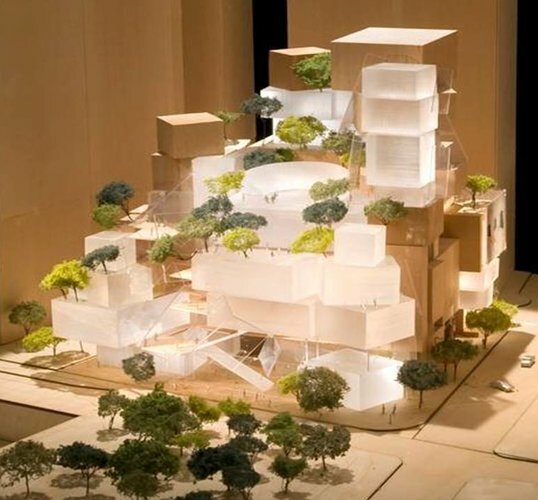 More images of Gehry's perhaps-defunct plan below.